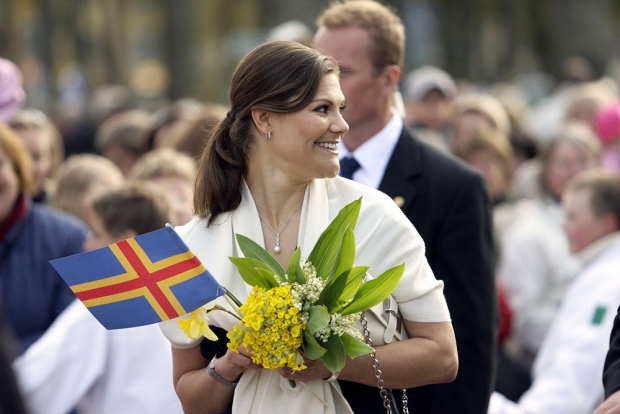 On a trip in 2008, Crown Princess Victoria of Sweden greets people on the main public square of Mariehamn in the Åland Islands, Finland. The Swedish-speaking islands were ceded to Finland by the League of Nations in 1921 to decide a territorial dispute between Finland and Sweden. They did so on the condition that Finland establish appropriate guarantees for Åland’s autonomy. The idea that Hong Kong’s governance arrangements are innovative is hardly new. Speaking in February 1984, Deng Xiaoping implied that his “One Country, Two Systems” prescription for Hong Kong was a “new approach to stabilising the world situation.” In a speech to Hong Kong’s Basic Law Drafting Committee in April 1987, Deng claimed that the Basic Law was “something new, without precedent in world history.” In reality, however, Hong Kong’s constitutional status is not unique at all—and Beijing’s repeated insistence to the contrary is not only disingenuous, but dangerous. “One Country, Two Systems,” with its supposed “high degree of autonomy,” describes a form of devolution or autonomous government—albeit a deeply imperfect one. But devolution, both in theory and in practice, is neither rare nor novel. As early as 1933, Italian constitutional scholar Gaspare Ambrosini questioned the idea that the world consisted only of unitary states or federal states and argued that a system of devolved autonomy was a distinct constitutional arrangement. A more recent study of autonomy co-edited by constitutional scholar Yash Ghai and sociologist Sophia Woodman considered no fewer than thirteen autonomous areas worldwide, including Scotland, the Åland Islands, Hong Kong, and Macau. 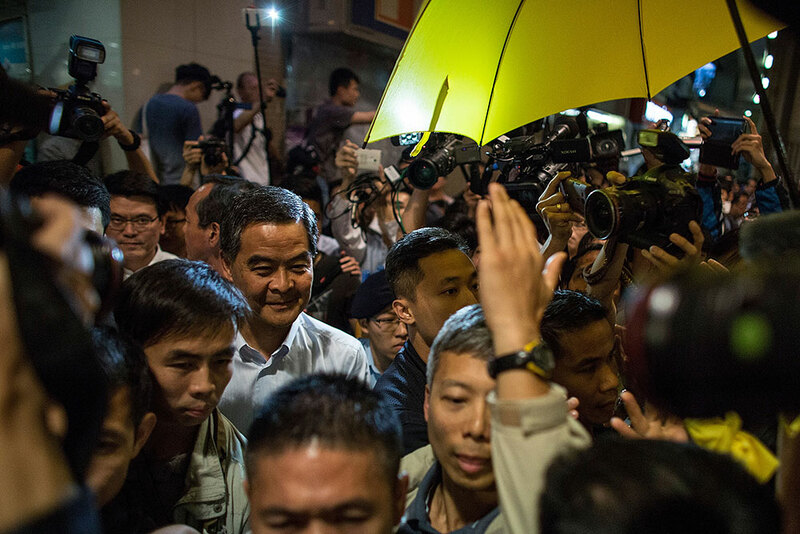 Pro-democracy protesters gather with a yellow umbrella near Hong Kong Chief Executive Leung Chun-ying in Hong Kong’s Mei Foo district, April 22, 2015. Leung was attempting to publicize proposals on the method for selecting the chief executive by universal suffrage and to appeal for public support. Hong Kong is not even unique in terms of the historical background of its constitutional arrangements. Hong Kong’s autonomy was guaranteed by the Sino-British Joint Declaration of 1984; in return for the peaceful recovery of territory given up after the Opium Wars under “unequal treaties,” China would guarantee a measure of autonomy. But the use of autonomous government as a tool for settling international disputes over sovereignty did not begin with Hong Kong. The Swedish-speaking Åland Islands in Finland are a much earlier example. When the League of Nations decided the territorial dispute over the islands between Finland and Sweden in Finland’s favor in 1921, it did so on the condition that Finland establish appropriate guarantees for Åland’s autonomy. Hong Kong and Macau are not even the only instances of devolution within China. China’s Constitution recognizes—at least in theory—that ethnic minorities have legitimate claims to autonomy, although ongoing tensions in Tibet and Xinjiang suggest that Beijing has little interest in making good on these claims. Admittedly, the political and constitutional context in Hong Kong and Macau is much less combustible than that in the Tibet and Xinjiang Autonomous Regions. Nonetheless, one would expect to see certain central government strategies being applied across the board. Why should anyone outside of legal academia care? The first reason is that recognizing that Hong Kong is not unique gives a better picture of the deficiencies in “One Country, Two Systems.” The office of chief executive, whose role and selection lay at the heart of the Umbrella Movement protests in 2014, is a prime example. Part of the reason why Beijing has consistently stalled—and then backtracked—on chief executive electoral reform is that, under Basic Law article 43, he is ultimately accountable to Beijing. Yet the chief executive is also supposed to represent the interests of the Hong Kong population. When these demands come into conflict, there are few institutional incentives for a chief executive to take Hong Kong’s side over Beijing’s. James Mitchell’s account of administrative devolution in Scotland provides a cautionary tale of the perils of dual mandates in the same office. Prior to the introduction of legislative devolution with the Scotland Act 1998, successive Scottish Secretaries were expected to defend Scotland’s interests in the Cabinet. Yet the Scottish Office remained accountable to the U.K. Parliament in Westminster, rather than to a distinctively Scottish electorate. For as long as the office existed, Scottish Secretaries risked being seen as “the Cabinet’s man in Scotland,” and not “Scotland’s man in the Cabinet.” Decades of opposition parties playing the “Scottish card” paved the way for the more expansive devolution powers—and democratic accountability to the Scottish electorate—contained in the 1998 Act. The second reason to reject the myth of Hong Kong constitutional exceptionalism is that it is not merely wrongheaded, but pernicious. Veteran Hong Kong columnist Joseph Lian Yizheng, writing in the Hong Kong Economic Journal, accused officials of seeking to “prevent Hongkongers from drawing on the experience of other places where multiple systems work.” But one need not accept that the idea that Hong Kong is “special” is the product of malice to recognize its dangers. By denying the relevance of other examples of devolved government, Beijing can entrench a situation in which the Basic Law means “whatever Beijing officials say it means, whenever they choose to say it.” The joint statement in April 2015 by 23 democratic legislators in Hong Kong on Beijing’s trampling of the Basic Law underscores the urgency of putting the city’s constitutional predicament in proper perspective. Failing to do so would not only have disastrous consequences for Hong Kong’s autonomy. It would also make a mockery of China’s binding commitments under the Sino-British Joint Declaration—and it would augur ill for Taiwan’s prospects in the event of reunification. More fundamentally, the myth of Hong Kong exceptionalism is yet another variant of Chinese exceptionalism. The implication that Hong Kong (and Beijing) have nothing to learn from other instances of autonomy dovetails with the ongoing Chinese backlash against “Western” values, most recently embodied in Document 9. The same thinking underpins many of Beijing’s arguments against the applicability of international norms. For instance, Zhang Xiaoming’s op-ed, in addition to calling for “institutional confidence” in Hong Kong, disparaged international standards for universal suffrage—enshrined in Article 25 of the International Covenant on Civil and Political Rights—as a “pseudo-proposition to mislead the public.” Viewed in that light, “universal suffrage with Hong Kong characteristics” merely represents the latest attempt at debasing fundamental concepts by appending the phrase “with Chinese characteristics.” Ironically, recognition that Hong Kong’s autonomy is anything but special might demand that most Confucian of concepts: a long-overdue rectification of names.